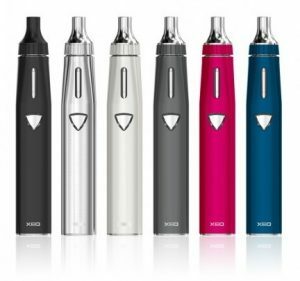 XEO is a leading European vape company with exacting standards of quality. Naturally, when a company is that focused on delivering excellence to their customers, it’s not surprising to see a range of products. However, one of their featured products that stands out above all the others is the Void vaporizer. There are several reasons for this, the main one being that this is one of the only mods that’s good for both beginners and experienced vapers. Let’s take a deep dive into the Void vaporizer to see why this product made our top 5 list. So, first things first. The Void vaporizer is definitely not your usual vape mod. When you think of a vape mod, you think of a box-like structure. The Void resembles more of an vape pen than your standard mod. It’s extremely ergonomic and very modern looking. The logo is at the bottom of the pen while the on/off button sits right in the middle. With its all-in-one style, it combines the latest technology and a high-quality and compact design. Moreover, it’s German quality so regarding its build, what else can you ask for? It’s sleek yet pretty tough. You can likely drop it, pick it up, dust it off and continue to vape on. Overall, we must say this is one of the best built pen style mods. The battery on the Void vaporizer is “only” 1,500mAh. On the one hand, 1,500 is quite a lot in general but on the other hand it’s on the low end for vape mods. So, it’s understandable why we were initially expecting a reduction in performance, specifically regarding vapour volume. This, however, was not the case. It is true that everyone is different and enjoys different Ohm levels. XEO (Void parent company) understood this and therefore started packaging the Void vaporizer kit with not one but two evaporator heads. These are 0.6 and 1.0 Ohm evaporator heads. This truly allows the vaper to customise the intensity of the vapour volume according to his/her individual “taste”. Both heads give off a great deal of vapour but if you’re looking for a bit more vapour, try the 0.6 Ohm evaporator head. Additionally, these sub ohm evaporator heads are running at a constant 30W. That’s not bad for this type of device. Overall, for what the Void is, the performance was well above our expectations. The good thing about a standard vape mod is that you are essentially guaranteed a massive vapour cloud. The bad thing is that oftentimes there are too many buttons and features, which makes it difficult for a vaper to upgrade to a mod. Between having to know how to calculate what Ohm, wattage and voltage levels to use, among many other things, vape mods have become a big turnoff to some users. Subsequently, the vape pen market is very dominant and will continue to be for the foreseeable future, primarily due to its intuitiveness. And that’s where Void will massively benefit from. The Void vaporizer is very intuitive (on/off button and a built in tank – that’s about it) whereas mods generally are not. With the look and feel of an easy to use vape pen, but the performance of a high-grade mod, it has the potential to become the next Apple of e-cigs. We need to keep two things in mind here. One – it’s a mod. Two – quality. One – it’s well-known that mods are much more expensive than vape pens. You can purchase a vape pen for as little as £7.99. Vape mods generally start in the low £30s. 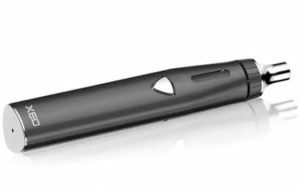 Yes, the Void looks like a vape pen but keep in mind this device is technically also a mod. And, the Void’s pricing is consistent with other mods on the market. Two – this is a superior device in terms of quality, even compared to some other standard box mods. Quality comes with a price, which in this case is £39.99. That’s not a bad price for the device you are getting. Reviewing the Void was one of the best experiences we’ve had with a “vape mod.” The look and feel is great, not having to walk around with a bulky device. At the same time, there’s no sacrifice on quality or performance. Even though this mod runs at 30W with a 1,500mAh battery, it packs a nice punch. Overall, this is a very good choice for any level vaper.